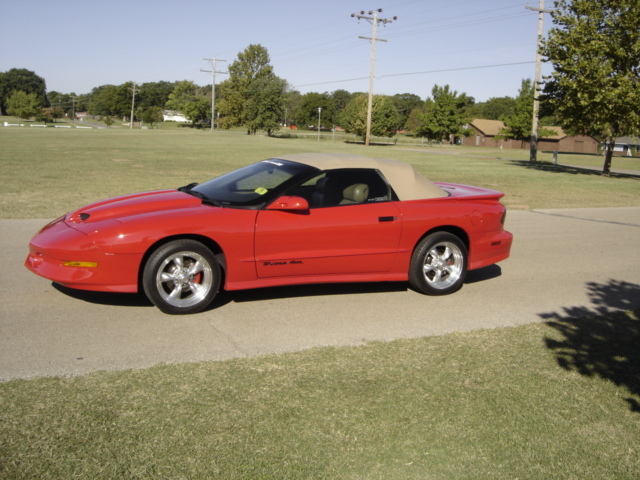 This page features a 1995 Pontiac Trans Am owned by Shelby Lauener. Remote Keyless Entry, Four Outlet Exhaust, 4-Wheel Anti-Lock Power Disc Brakes, Fog Lamps, Leather Seats, Hotchkis Strut Tower Brace, Rear High Sport Spoiler, Functioning Ram Air Hood, SLP Air Temp Module, K&N Filter Charger, SLP Air Foil Throttle Body, Hurst Computer Aid Skip Shift, B& M Shifter, SLP Fan Control Switch - lets you run the fan on low or high or let the computer control it. 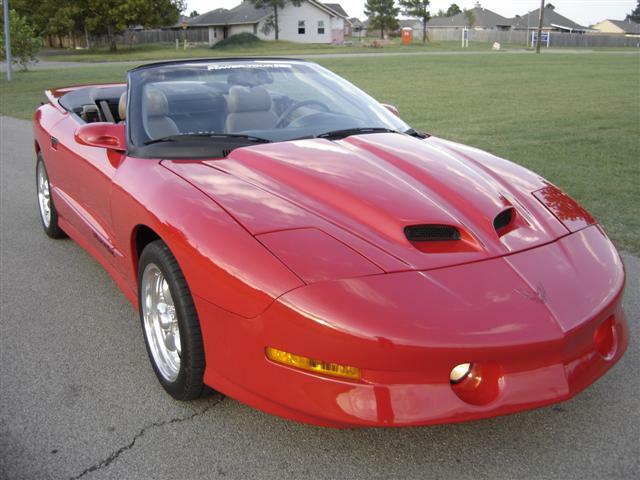 This car has not been raced and has LT-1 V8 with 72,000 miles on it. Royal Purple Engine Oil, Transmission and Differential since 32,000 miles. I have owned the TA since 2002. 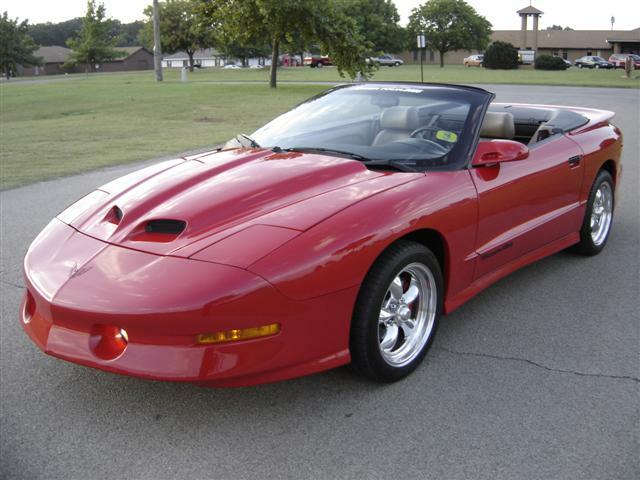 Shelby purchased the Trans Am from a local car dealer (Dave’s Place Auto Sales) in July of 2002. 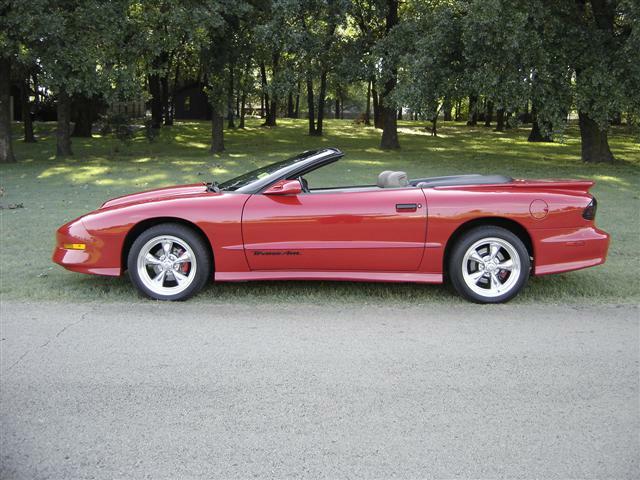 Dave Lester had found the TA Convertible at an auto auction in Tulsa earlier that month. 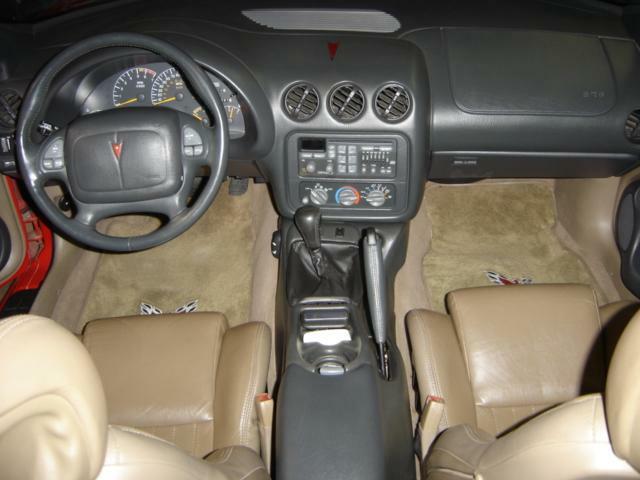 The mileage at the time of purchase was 32,671. 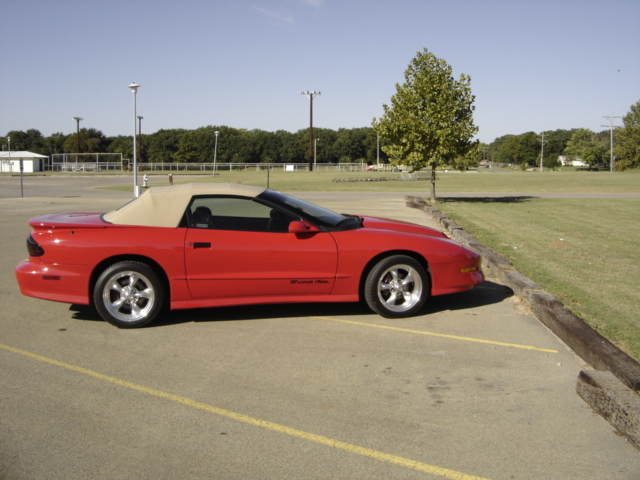 Pontiac only produced 2402 of the Trans Am Convertibles during 1995 and less than 1000 were produced with the Borg-Warner T-56 six speed manual transmission. During the next year Shelby purchased a Hurst Skip Shift Kit for the six speed which eliminates that pesky skip shift from the Borg-Warner T-56 transmissions. 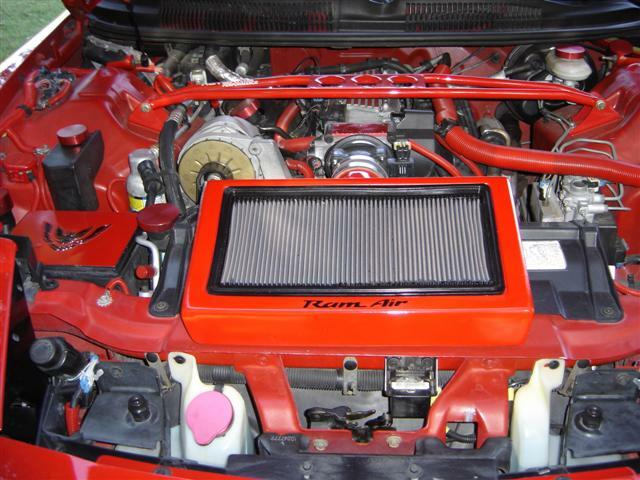 The next addition was a K & N Cold Air Induction, which eliminates the Trans Am’s stock air filter system. While changing the air intake system an SLP Fast Advance Air Temperature Module was added. This addition causes the computer system to advance quicker which along with the K & N Air Induction System increases the horsepower an additional 15 horses. Shelby then changed out the Mass Air Flow Sensor to a Granatelli Motorsports MAFS, which increases the airflow by 45% and adds an additional 15 horsepower. 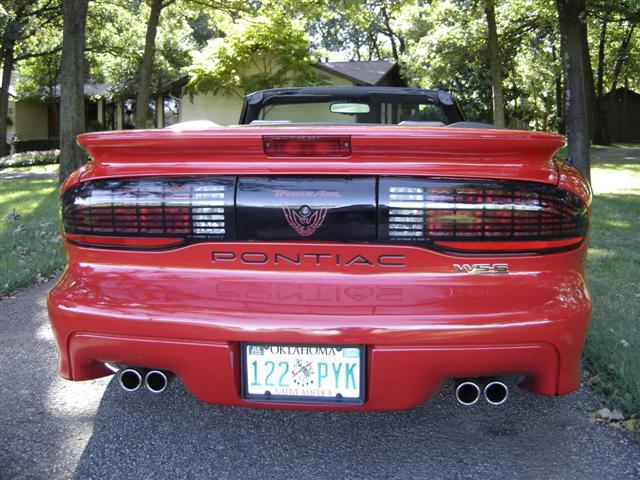 In the summer of 2003 a set of 17 X 9.5 inch American Racing Torque Thrust II wheels gave the old Pontiac a complete new look. 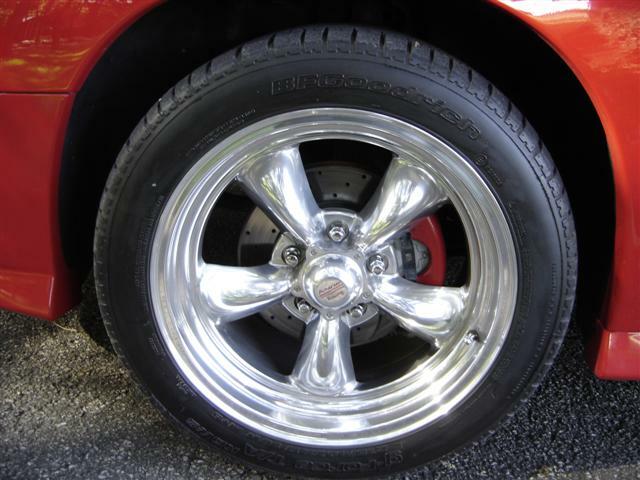 Also, four new B. F. Goodrich 275/40ZR17 G-Force KDWS Radial tires were mounted to the new AR wheels. While adding the new wheels a set of 10.9 inch drilled and slotted, vented rotors replaced the stock rotors. 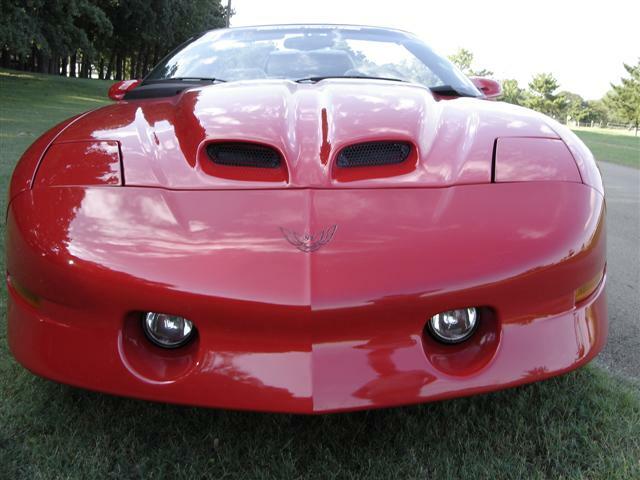 A Hotchkis Strut Tower Brace limits frame flexing during hard cornering of the Trans Am. Hi – Performance Ignition Wires. A manual fan over ride switch was installed which allows the fan to be controlled manually or by the computer. 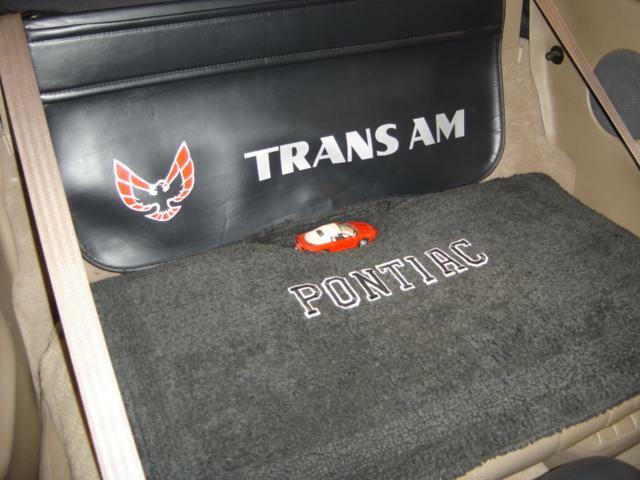 The interior of the Trans Am has miner changes with a Pontiac mat and Trans Am space cover in the rear and a set of Lloyd’s Custom Firebird floor mats in the front. A leather covered SLP Shift Knob compliments the B & M Short Throw Shifter.